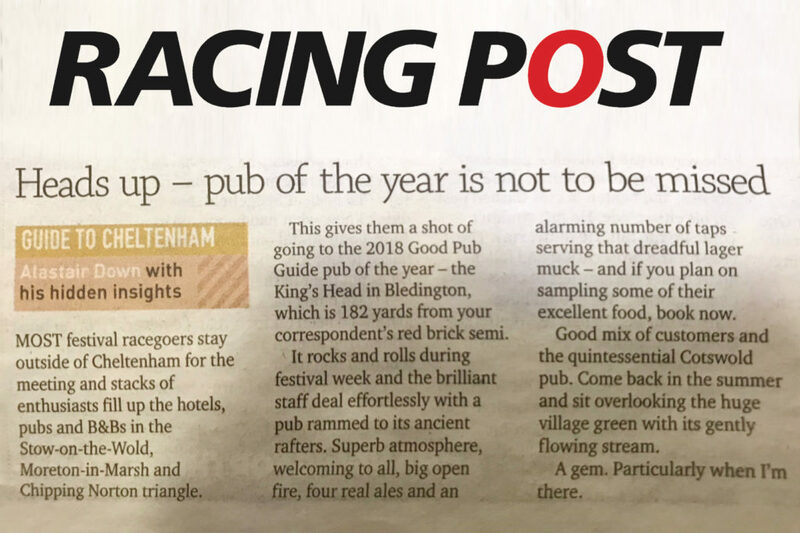 With The Cheltenham Festival fast approaching thank you so much to Alastair Down for writing such a lovely piece on The King’s Head Inn for The Racing Post. Most festival racegoers stay outside of Cheltenham for the meeting and stacks of enthusiasts fill up the hotels, pubs and B&Bs in the Stow-on-the-Wold, Morton-in-Marsh and Chipping Norton triangle. 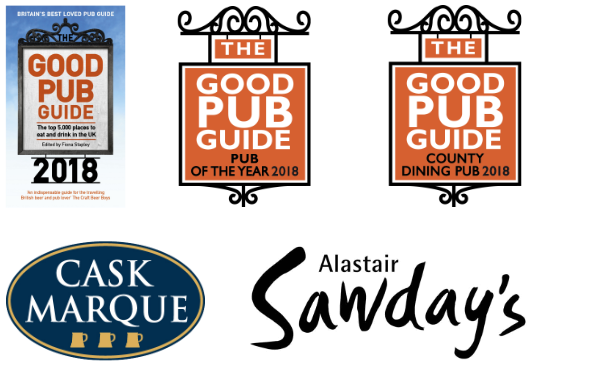 This gives them a shot of going to the 2018 Good Pub Guide pub of the year – the King’s Head in Bledington, which is 182 yards from your correspondent’s red brick semi. It rocks and rolls during festival week and the brilliant staff deal effortlessly with a pub rammed to its ancient rafters. Superb atmosphere, welcoming to all, big open fire, four real ales and an alarming number of taps serving that dreadful lager muck – and if you plan on sampling some excellent food, book now. Good mix of customers and the quintessential Cotswold pub. Come back in the summer and sit overlooking the huge village green with its gently flowing stream. A gem. Particularly when I’m there. Review and check availability of Accommodation and Restaurant at The King’s Head Inn HERE. This entry was posted in Events, The Kings Head Inn Bledington. Bookmark the permalink.